HomeNewsPress ReleasesMake Father’s Day Gift-Giving Easy, Adopt-A-Manatee®! Note: A high resolution jpeg (300 dpi) of a manatee image, a photo of Kevin Obarski and his daughters, and a photo of the exercise towel, are available upon request. Kasin and Karson (l-r in photo) with their dad. Each loves the outdoors, nature, and manatees. A naturally, notable gift this Father’s Day is a manatee adoption from Save the Manatee Club. The thoughtfulness and kindness behind giving a unique present to dad is certain to be a special moment on his well-deserved day. Check out 34 manatees up for adoption at the Club’s website. Doc, Rocket, Howie, Gator, Flash, Floyd, Margarito, Nick, and Merlin are just some of the popular male manatees in the adoption program. New to the Club’s Blue Spring State Park manatee adoptees is Una, who was rescued as an orphan in 2003. She was released and gave birth to several calves over the years. Una was rescued again because of fishing line entanglement on both flippers. Once treated she was returned to the wild. All manatees in the Club’s adoption programs are real, living manatees with known histories, like Una. It costs $25 to adopt a manatee (which is tax-deductible) for Father’s Day, and dad will receive a color photo, biography, and adoption certificate, along with a membership handbook, plus a year’s membership in Save the Manatee Club. He’ll receive the official printed newsletter, The Manatee Zone, four times a year, as well as the Club’s enewsletter, Paddle Tales, throughout the year. Adopt at the $35 level and get a free exercise towel, another special surprise for dad. Shipping is free if mailed within the United States. 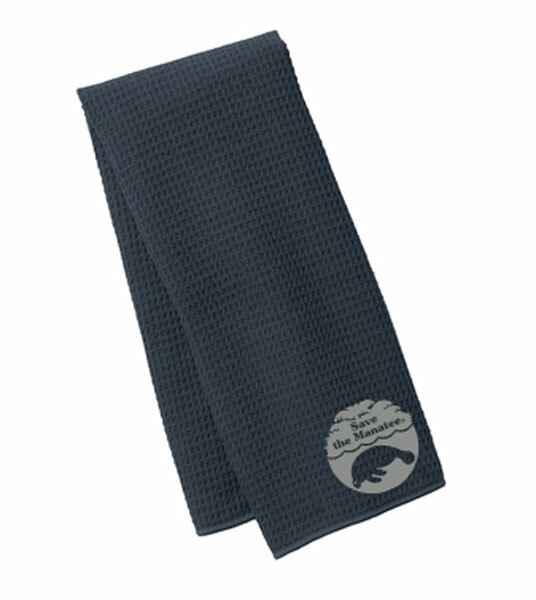 Adopt-A-Manatee at $35 or more and get a free exercise towel! 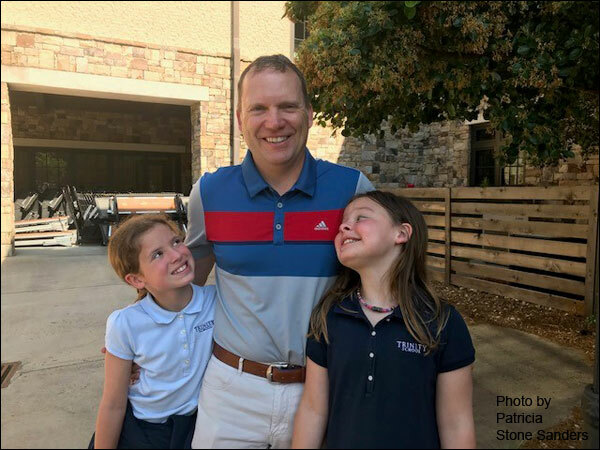 Young sisters Kasin and Karson from Georgia chose to adopt Gator for their dad last Father’s Day from Save the Manatee Club’s Blue Spring adoption program. Together with their grandmother, Patricia Stone Sanders, they had searched how to help the manatees. When they saw that “Gator” was available on Save the Manatee Club’s website, it was an easy choice because their father, mother, and grandparents grew up in Florida, and their dad is a University of Florida graduate. All are ardent Gator fans, however, the girls claim their dad is the biggest Gator in the house. Save the Manatee Club is an international nonprofit 501(c) (3) manatee conservation organization, co-founded in 1981 by singer/songwriter Jimmy Buffett and former U.S. Senator Bob Graham, when he was governor of Florida. The Adopt-A-Manatee® program helps raise funds to support the Club’s various conservation efforts, which include education and public awareness projects and extensive conservation work to protect Florida’s official state marine mammal and its aquatic habitat. Adopt-A-Manatee® for Father’s Day by visiting Save the Manatee Club’s website or by calling toll free at 1-800-432-JOIN (5646). Shop the Club’s online catalog for more gift ideas for mom at shopsavethemanatee.org.